Erected by the congregation and friends in affectionate remembrance of the Reverend. 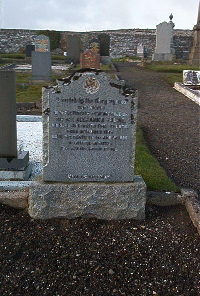 Alexander Tolmie, minister of Lybster Free Church from December 1944 until died 1st March 1955. A faithful minister and dearly loved by all.